Puerto Rican rapper, writer and producer, Residente, garnered nine Latin GRAMMY® Award nominations today, for his first solo album RESIDENTE. Residente received more nominations than any other artist at this year’s award ceremony, adding to his record for most Latin GRAMMY® Nominations ever, bringing them to 39. Residente stands to extend his lead for most GRAMMY® Awards ever received beyond his current record of 25 with nominations in the following categories: Album of The Year, Record Of The Year, Song Of The Year (A Songwriter’s Award), Best Urban Fusion / Performance, Best Urban Music Album, Best Urban Song, Best Alternative Song, Best Tropical Song, and Best Music Video. RESIDENTE debuted at the # 1 spot of Latin album sales, topped Billboard’s “World Albums” and “Latin Rhythm Album Sales” charts, and was named one of the best albums of 2017 by Rolling Stone Magazine. The album is part of a larger, eponymous project, inspired by a DNA test that took Residente on a two-year journey across the world, tracing his ancestry and recording music along the way. The album features sounds and musicians from regions including Siberia, Armenia, Osetia, Georgia, Ghana, Puerto Rico and Burkina Faso, as well as collaborations with established artist from Lin-Manuel Miranda to Goran Bregovic, SoKo, Bombino and the Peking Opera. It was recorded at the legendary Electric Studios in New York, founded by Jimmy Hendrix, and was mastered by Tom Elmhirst. The album was developed as part of Residente’s five-year partnership with the Fusion Media Group and distributed by Sony Music Latin. 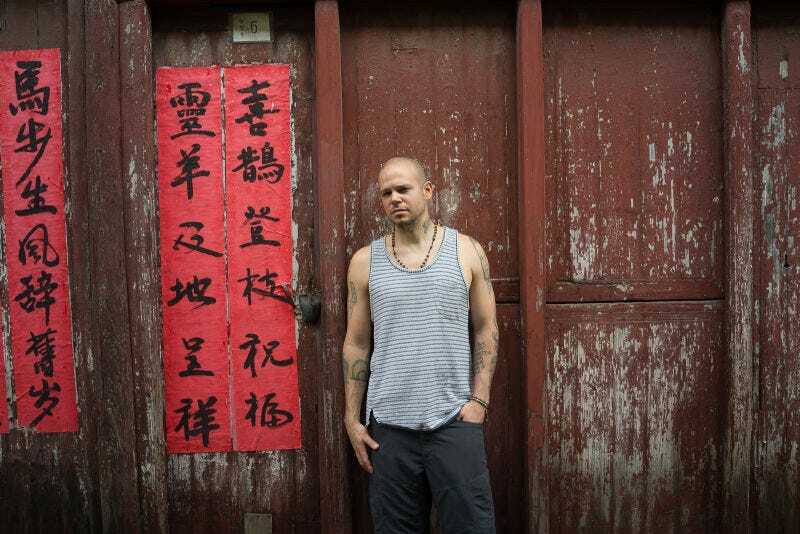 Residente’s single “Desencuentro” debuted at the #1 spot on Spotify’s “Global Viral 50" chart while his track “Una Leyenda China” took spot #9 on the same list. The music video for his latest single, “Guerra” marks Residente’s third consecutive self-directed video after “Somos Anormales” and “Desencuentro.” It was filmed in Spain and on site at the Zahlee refugee camp on the Lebanese/Syrian border. The music video for “Guerra” stars actors Jan Cornet (The Skin I Live in), Una Ugalde (Alatriste) and Paco Leon (Kiki, Love to Love) alongside real refugees and victims of the conflict in Syria. Residente’s first two music videos starred actors John Leguizamo, Edgar Ramirez, Oscar Jaenada and Charlotte Lebon. The overwhelming reception and success of Residente’s first solo album has been showcased throughout Residente’s sold-out European, U.S. and Latin American tours this year including last week’s sold-out performance in front of an audience of over 60K fans in Argentina. Residente (René Pérez Joglar) is the founder and former member of the global superstar alternative rap duo Calle 13, and the most decorated Latin artist ever with 25 GRAMMY® Awards. A recipient of the Nobel Peace Summit Award, Residente has long been a vocal political and social activist, and has spoken out in support of change agents including Bernie Sanders and Julian Assange. He has also spoken out against the establishment and been a vocal and ardent champion of social justice for decades. Residente recently released his debut solo album, Residente. Last December, Residente launched his visionary website residente.com as part of what he considers his most ambitious project yet. The site is an interactive space with a conceptual, artistic vision that will evolve to include video projects, a documentary film and book.